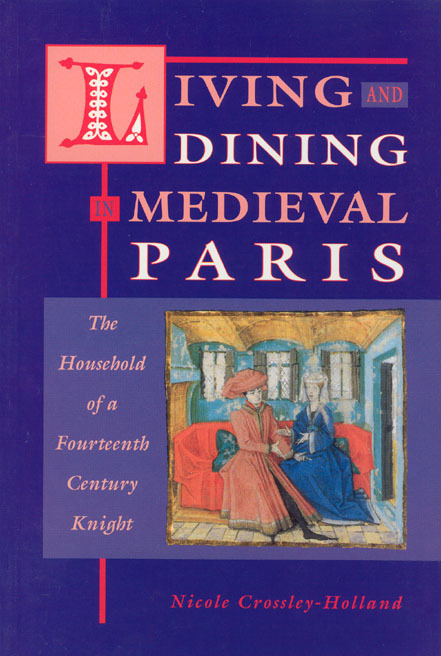 At the center of this richly detailed account of the culinary world of fourteenth-century Paris lies the Ménagier de Paris, a manuscript covering all aspects of food preparation and household skills, written by a well-to-do knight for his fifteen-year-old wife. Through her meticulous study of the manuscript, Nicole Crossley-Holland paints a vivid picture of life in the knight’s household: his city residence with its walled vegetable and herb garden; his home farm which provided meat and dairy produce; the country estate where he trained sparrowhawks and hunted wild boar. The author gives a comprehensive description of medieval food economy. Methods of food preservation, cooking techniques, recipes and presentation are thoroughly explored. Menus, ranging from the simple and everyday to elaborate wedding feasts, are described in detail.